Douglas Church, from Terre Haute IN, was loved by all who knew him. Born and raised in Southern Indiana, he worked as an account manager and was a strong advocate for animal rights. He was smart, funny and an independent individual who took pride in taking life by the mantle and caring for his four nieces. When Doug passed away suddenly from a pulmonary embolmism, it came as a terrible shock to his family. Although he will be forever missed, his family is proud of his selfless decision to become a registered donor. Today, he has helped over 95 recipients from 23 different states and several countries. They hope others see the importance of donation and the impact it can make on the lives of so many. 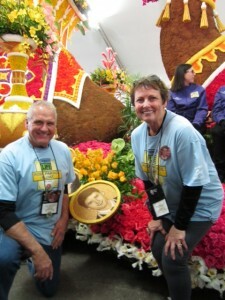 Celebrating the gift of donation, Douglas Church was honored with a memorial floragraph portrait on the 2016 Donate Life Rose Parade float.